What Model Howard Miller grandfather clock ID? Hello I would like to know what model clock I have just purchased. I found a tag with the year Dec 1985 to the registered previous owner and the clock mechanism number uw32670D. No numbers for the model though. 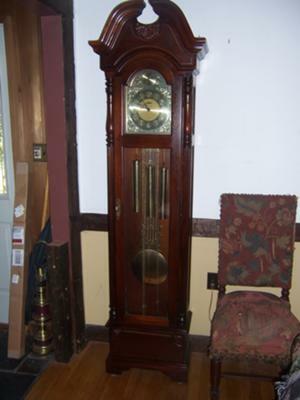 Comments for What Model Howard Miller grandfather clock ID?